Our Toy closeout division specializes in buying and selling overstock toys, Discount toys, Toy Closeouts, wholesale toys, closeout toys, educational toy, wholesale toys, toy liquidators and Liquidations, name brand and other toys. We are the ultimate toy closeout buyer. Great Opportunity for large markups and profits. Toy buyer’s dream …. buy new factory packed toys, some items are as low as 10 cents on the dollar… (up to 90% off ). Excellent for USA retail stores, flea market dealers, and auctioneers and also for export worldwide. Please click on the “moving bear” below to download our most up to date first quality new toy inventory manifest. Most important: You can pick and choose and order only the toys you want. Can you sell name brand new toys? Hurry this deal will not last first quality closeout toy liquidation just in time for holiday sales 100% authentic and genuine brands no damages, no customer returns. Only first quality new toys in original factory cases. Make big money all toys are in original factory new cases No restrictions. USA or Export sales welcome. We will ship you a nice shipment of our most popular toys and our best sellers. This will increase the appeal of our toys to your customers. Please let us know the type of toys you want in your shipment. We will accommodate you and ship the unique toys that your market demands. Your cost is only $9,995. 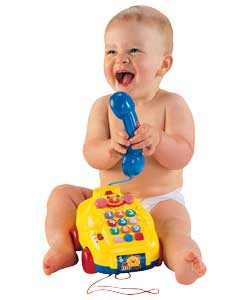 Now buy new branded toys at salvage prices! Continuous supply. Great Assortment for Flea market vendors, Internet sites, and Retail store! This is way below wholesale cost. You will receive approx. 2,500 brand new toys in their original packaging. Excellent deal. Your cost is only $12,995. Continuous supply.You will receive approx. 3,000 to 4,200 brand new toys in their original packaging. Excellent deal. Great Assortment for Flea market vendors, Internet sites, and Retail store! (Excellent for export) A 20-foot container load of brand new toys. You will receive approx. 6,000 to 10,000 brand new toys in their original packaging. About ten pallets. Excellent deal.Very nice toys to ship overseas. Your cost is only $29,995. Continuous supply available. This is the choice of experienced exporters) 40-foot container load of brand new toys (20 pallets). Your cost is $54,995. Receive a complete branded assortment of new toys. You will receive approx. 11,000 to 18,000 brand new toys in their original packaging. Excellent deal. Continuous supply available. You will save on shipping charges when shipping a 40-foot container. Excellent deal. Continuous supply available. Some toy liquidators are selling cleaned up used, damaged, customer returned toys and offering it to customers as “new”. Several toy liquidators are selling toys that have been “recalled” by the manufacturers and have unsafe levels of hazardous lead paint. We guarantee that our all our toys are new and first quality in original factory cases. Guaranteed no damaged or used toys! Guaranteed no customer returned toys! We guarantee that the toys we sell do not contain hazardous lead paint and have not been recalled by the manufacturer as unsafe. Why would you want to deal with a toy liquidator that will not make the above guarantees to you? Our 39 years of toy liquidation experience is hard to copy or duplicate by inexperienced toy liquidators! Buy from us and have the true potential to DOUBLE your money by selling NEW TOYS for much less than other toy stores in your neighborhood. wholesale cost!. All of it are in their original boxes. All shelf ready! Expect a very nice selection of all new toys for boys and girls of all ages. This lot does not include any customer returns, broken toys, or damages. Lots include a wide variety and assortment and will appeal to boys and girls of all ages.All shelf ready. Buy new products at salvage prices. Continuous supply. We also ship for export. Toys are a fun item sell on E-BAY and in a discount store. High impulse item with a big turnover. Very profitable. Brands include Mattel Hasbro, Kenner Fisher price, Milton Bradley, Toy biz, tiger electronics and many more desirable names! New toy lot consists of radio remote control vehicles, dolls of all sizes, pre-school/infant toys, action figures, art sets, checkers, board games, dominoes, educational and many more. They are a great money maker!!! I have received the toy order shipment. Great loading, perfect packing, very pleased. All the boxes were taped very firmly with the red tape, none of the boxes were broken and opened.